The NAS issue is still causing a stir. I was contacted last week by an industry insider who read the posts (mine,Lukasz’s, Billy’s) and wanted to shed more light on what’s going on in the Travel Retail market, and Why we’re seeing more and more NAS expressions (overpriced and young) there. My source (let’s call him James) wanted to share his truth with you readers of the blog, but stay anonymous, and I shall respect that. So here goes, The Truth. And many thanks to James for sharing this with us , and allowing me to post this on my blog. 2) The fact that it tends to be younger whisky at a higher price. So why is this happening? Well the general consensus on the above blog posts, is that the whisky companies themselves are looking to cash in on the current whisky boom. However, there is also another option here – the “greedy” travel retail companies are to be blamed. Let’s take for example, a whisky producer in Scotland who wanted to have their range of products in travel retail. This producer is increasingly interested in moving into the travel retail sector, and after increasing amounts of difficulty, finally gets to speak to the right buyers. This is where the problems start. The demands put onto producers by these Travel Retail companies are seriously shocking. Margins of 70-75%. To work out what they are paying lets look at a £30 bottle in Travel Retail (tax free) take the tax off a 70cl 40% bottle (£7.02) leaving £22.98 and then take off the 70%, let’s be generous, that means £6.89 going to the producer and £16.09 going to the Travel Retail company. That might not sound bad but let’s remember that £6.89 has to pay all the production, warehousing, transportation, bottling costs. The Travel Retail companies want the whisky producer to provide tasting stock, free of charge, allowing them to give “free” samples to customers. This obviously incurs no cost for the Travel Retail companies. The tasting bars at many airports are not manned by employees of the Travel Retail companies, but by agency staffed paid for by the whisky producers themselves. Consequently, these hard working employees are earning more money for the Travel Retail companies than the producers they are originally working for. Now look at the above information and ask yourself “Why would any whisky company put any product into Travel Retail?” The honest answer to this question is that it puts the producer in the “shop window”, allowing numerous consumers to not only discover their products, but also try them. The problem occurs when the producer sells a 70cl bottle in high street retail for £30 (with a trade price of £15); against the sale of a 100cl bottle in travel retail for £40 (with a trade price of £10). It doesn’t make economic sense to lose money does it? So what is the solution? Well many of the whisky producers are going down the route of keeping a product in the shop window. However they are now using younger, thus cheaper, NAS whiskies, which are less of a cost burden to them. Travelling through Duty Free used to be a great experience with fantastic bargains. Sadly nowadays we find that it is being ruled by Travel Retail companies. Who not only greedily focus on their profits, but also squeeze the whisky producers in the same way the supermarkets have over the years. The prices of Travel Retail products are relentlessly increasing. A perfect example of this is the 1975 Auchentoshan released at an RRP of £500+, whilst currently being sold for over £800 in travel retail. Sadly we can say goodbye to the old bargains of duty free. The question is – how do we, as consumers and whisky drinkers, solve this? Firstly, we should be supporting our whisky producers by buying their non travel retail whiskies. Secondly, we should try not to criticize their NAS expressions whilst they are being economically and considerably squeezed. The Scotch Whisky Association are very keen on maintaining the quality of Scotch Whisky and protecting its identity, which is fantastic! So maybe it is time they stepped in and helped the whisky producers by putting pressure on the Travel Retail companies to cut their margins, thus allowing these whisky producers to get back to doing that they do best, making great whisky. Will NAS Kill us all? While all these reasons are probably true, I still don’t find it very convincing at all. The argument being “we put crap whisky in there at higher prices so people know our brand” doesn’t sit well with me. The products are still crap and that will be what your brand will be known for. Also, if it is such a squeeze to get products in there, and selling crap whisky at higher prices only to keep yourself from losing money would logically mean that you just won’t do it. There’s always the option to say no to Travel Retail companies. Especially if saying yes means you kill your reputation without actually making money. I hear you. and that sounds right. But i really can’t measure whats worse (I think i know whats worse) Loosing your grip in TR or selling bad NAS under par and ruining your brand. I’d never sell a whisky I am not 100% at ease with. and selling a whisky which is not mature enough is shooting yourself in the leg. I’d definitely agree on the power of the geeks and bloggers – for the larger companies we’re not really a concern when it comes to negative feedback, as we’re not the target market and don’t influence the target market all that much. It’s the specialist bottles where geeks and bloggers are the market that they need to keep us on side. I think I need to write a WordPress plugin that fills in the google metadata on blog posts so it displays scores in search results – a whole page of 2star reviews might be more effective than a page of anonymous links to reviews with titles written to attract googlejuice. “James,” first of all, thanks for contributing to the discussion. I had thought of this, and over the past few days have called a few of the most trafficked duty free companies. Turns out, the most popular travel retail beverage by far (accounting for much more than half of all alcohol sales) is vodka. Vodka costs literally pennies to produce in a continuous still operation, and doesn’t need barrel aging etc, so in the scheme above, the 6.89 pounds isn’t such a terrible deal for the producer. I say spend the money on effective advertising. I know your consultants tell you that the sophisticated, traveling male is your customer… I agree. But they are also, the data show, not the people spending most in the duty free. Those are the occasional, middle income travelers. Solution? Advertise in the airports. Show people that if they go to such and such store in their destination, (you can put these ads on the way out of airports) you have just as good taste as the gentleman with the bikini-clad girl in his jaguar. Men with taste go to in . Withdraw malt whisky from travel retail. Period. People in airports don’t even want it- by the numbers, they want vodka. By the by, how much damage is this NAS game doing to your brands? Are you still coming out ahead? Just some food for thought. Thanks again for writing. Vodka may get most sales, but it’s cheap stuff. Whisky is the biggest seller in terms of revenue (at least in Heathrow in 2012, which are the figures I’ve seen). interesting. Malt whisky, or blends? However, I suspect that it’s a slewed segment, with most sales being cheaper blends (in 3 litre bottles with handles) and a few hugely expensive bottles dragging the overal value of the segment up. In the middle you find the generally available bottles that are reasonably priced and the exclusives that sit above them. I suspect the exclusives are the smallest part when it comes to bottles sold, but exclusives also give potential for more advertising and push the entire brand. in which case, the data i’ve seen still make sense when interpreted the way i’ve chosen to interpret them. (cheap blends are almost half vodka, and exclusives are one-time splurges). anyway, i think my strategy is best- leave travel retail for the vodka drinkers (even if they sometimes buy 3L of grouse), and focus the energy on getting ppl to buy the good stuff at regular shops. the “feel bad for us, we’re selling crap at high prices bc duty free is screwing us” argument just isn’t acceptable to me. Its an interesting perspective but there are a few points I disagree with on. Primarily it’s by far not just Travel retail NAS bottles that are the issue. The biggest problem is companies taking out core age statement ranges and replacing them with more expensive NAS expressions. That’s compounded with the scramble for ‘limited release’ whiskies which are very often NAS and come with asl stupid price tag. On to the post at hand. Firstly this is written in a way that trys to get the reader to feel sorry for the poor little guy in all of this, the distillery. When in fact the majority of these distilleries are owned and ran by multi billion pound international companies. Next you have the fanciful idea that a company feels it’s a good idea to be in the shop window, I get that, however, I don’t get why they would put a substandard product in the shop window for all to see (and try). Either being in the shop window is ‘that’ important to the brand it’s worth taking a hit on the product (I don’t buy the not making economic sense, loss leading products are a common and very well used selling tactic), or the cost of being in the shop window is too high against what it brings you. I don’t see a case at all when the wise thing to do is go in the shop window with an inferior product. That’s what I think too. but Probably lots of people flying and buying whisky in shops are not really whisky conissuers and might only buy whisky there once in a while. so by not being there they might be loosing people who would NEVER buy a single malt in a shop while not traveling.Also a lot of people shop for gifts there (for some reason) and gifting a whisky that looks nice (and might never be opened) even if it tastes rather bad, is not an issue. ? 1. You are free to avoid Travel retail. The fact that most producers still decide to subject themselves to rules they disapprove shows that they will still benefit overall. They probably see it as a necessary evil to play this game. 2. I criticize this trend because I think it is detrimental to the quality of whisky overall. It is the duty of bloggers and writers to point this out. We already see more than enough young NAS bottlings also entering the regular market, where the TR effect does not apply, allowing a bigger profit margin for the industry, And as Lucas put it in his article: Any 5 yo today is one 12 yo less in seven years time. The logical effect will be that the regular bottlings will become even more expensive. And as a whisky reviewer, I don’t care what market a whisky comes from. If it is not good it will not get a good review. I’m wondering if you verified the information provided by James? Or has this source, who as an industry insider has a reason to deflect blame, provided you with credible evidence and it therefor wasn’t necessary to do so? I have no reason to doubt it. Interestingly enough I have heard complaints from Bruichladdich about the margin pressure in Travel Retail before they sold to Remy. At my distillery visit a few years ago I was told this is why they do not want to play that game. Now they do. I don’t necessarily think the information is wrong, but there might be some nuance that could be provided by the other party. What nuance are you looking for mate? Correct. I have no reason to doubt my source. he knows his stuff and he’s someone I can trust. totally. he has no agenda other than to have good whisky at good prices. that’s a fact. 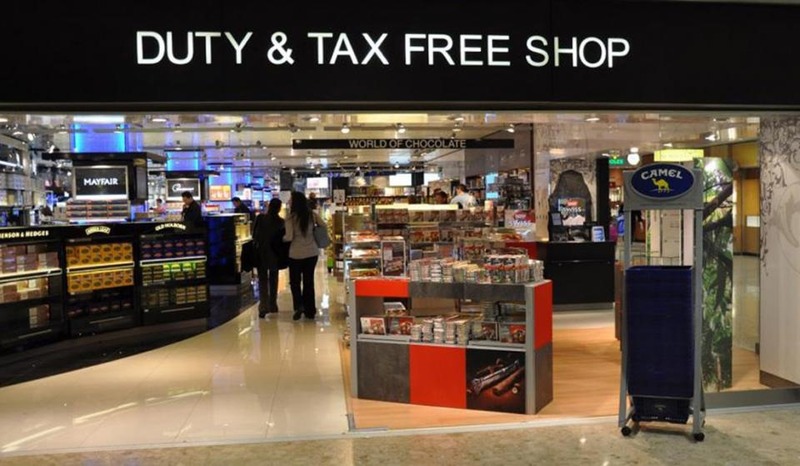 Not to sidestep the discussion too much (I agree with most of the criticism of “James”) but I have a feeling the problem with Travel Retail markups are the Airport authorities, not necessarily the retailers. Airport authorities know the value of their real estate (they know they have a stressed/tired/relatively wealthy captive consumer for a few hours at a time) and charge LARGE premiums for renting their spaces. What I don’t understand is why the distilleries downgrade their product just to be “in the window”! IMO, its better not to play the game than risk damaging your brand. THAT`s the reason I don`t buy “James“ explanation.